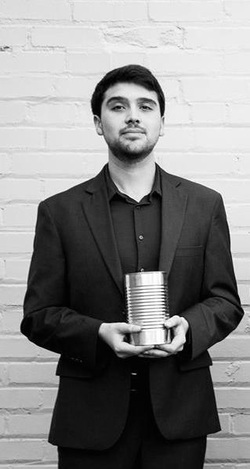 North Carolina based percussionist and educator, Corey Denham is committed to the commissioning and performance of new solo, and chamber works. He is a founding member of the percussion trio 10-can percussion and Greensboro based new music ensemble COLLAPPS. In addition to these chamber ensembles, Denham enjoys a career playing diverse genres ranging from jazz to orchestral music. As an educator and clinician Denham is very active in the marching percussion community. In 2012 he served as the front ensemble caption head for Wake Forest Independent in, and Co-Percussion Caption Head for Carolina Gold Drum & Bugle Corps, where the ensemble received the high percussion award in Class A at DCA finals. In 2013 he served as a percussion instructor and arranger for the Kadoudal Drum & Bugle located in Quiberon, France. In addition to Drum Corps, Denham has extensive experience instructing and arranging for high school marching bands and percussion ensembles through out the southeast. Denham holds the Master of Music degree from the University of North Carolina School of the Arts where he served as graduate assistant for the percussion department, and a Bachelors’ in music education and music performance from Mars Hill University. Denham is a member of the National Association for Music Education, the Percussive Arts Society and is an education artist for Innovative Percussion Inc. sticks and mallets.